Our team provides a wide breadth of experience and robust expertise, including multi-disciplinary and multicultural competencies. 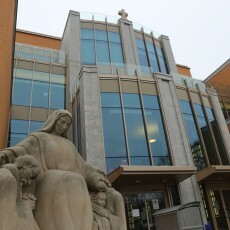 The CCE was established in 1982 to oversee the ethics needs of Providence Healthcare, St. Joseph's Health Centre and St. Michael's Hospital. We enable members of the health care community to identify and resolve ethical issues which arise in the clinical setting. The CCE team includes 8 bioethicists, 2 ethics fellows, and 1 administrative assistant. The CCE has, over its years of service, assisted with thousands of consultations. With this degree of activity, we are likely the most widely used ethics service in Canada. We offer 24/7 ethics service coverage. The Centre for Clinical Ethics (CCE) invites applications for a one-year, full-time Fellowship in Clinical and Organizational Ethics starting in September 2019 in Toronto, Canada.